A great interview yesterday with Diego Navarro, an internationally known, Tenerife-born musician, composer and conductor. 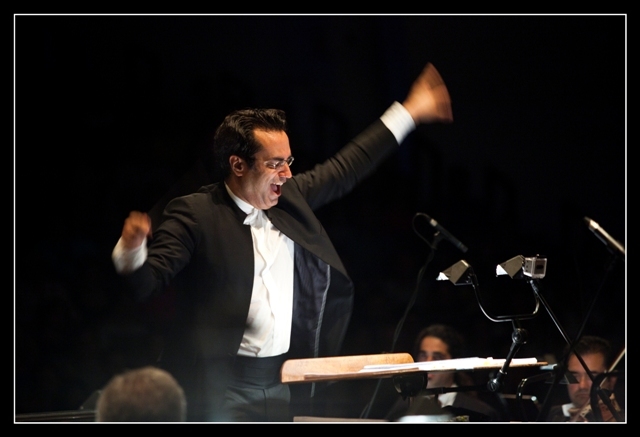 Diego is the founder of the Tenerife Film Orchestra and Choir, which was the first private symphony orchestra in Europe focused on the performing and recording of film music. He is also the ‘father’ and director of Fimucité (www.fimucite.com/) the Tenerife International Film Music Festival which is considered one of the most important, if not the most important, film music events in the world and we have it right here on our doorstep! If you get pleasure from the symbiosis of music and visual arts, this festival is for you. Lots going on, but the highlights have to be the two big concerts by the OST, the Tenerife Symphony Orchestra, one of the best in Spain, where the music is accompanied by live filming of the conductor and orchestra in action and images from the films that the music being played has been taken from projected as a backdrop to the orchestra and choir. Ticket prices are incredibly reasonable for the level of top quality guests and performances. Cartoon lovers of all ages take note that half of the closing concert on July 13 at the Auditorio de Tenerife is dedicated to Dreamworks Animation Studios: (Shrek, Chicken Run, Wallace & Gromit et al! ); A great opportunity to introduce children to a symphonic orchestra! Tickets for concerts are available online at: www.ticketmaster.es, or from the box offices and outlets as indicated on the Fimucité website! The full interview will be published in Island Connections 698 issue and in upcoming editions of our Russian and German language sister papers, Island Connections (Ruso) and Kanaren Express. Produced with news.CMS in 0,0643 seconds.